Feed me, Seymour! 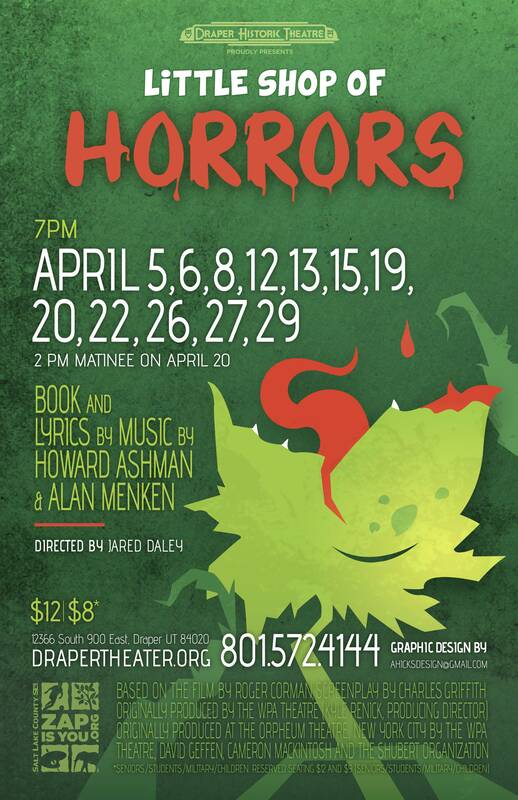 Draper Historic is proud to present Little Shop of Horrors, coming to the stage this April! Floral assistant Seymour stumbles across a new breed of plant he names "Audrey II" - after his coworker crush. The plants grows into R&B-singing carnivore, who promises Seymour fame and fortune as long as he keeps feeding it, blood. 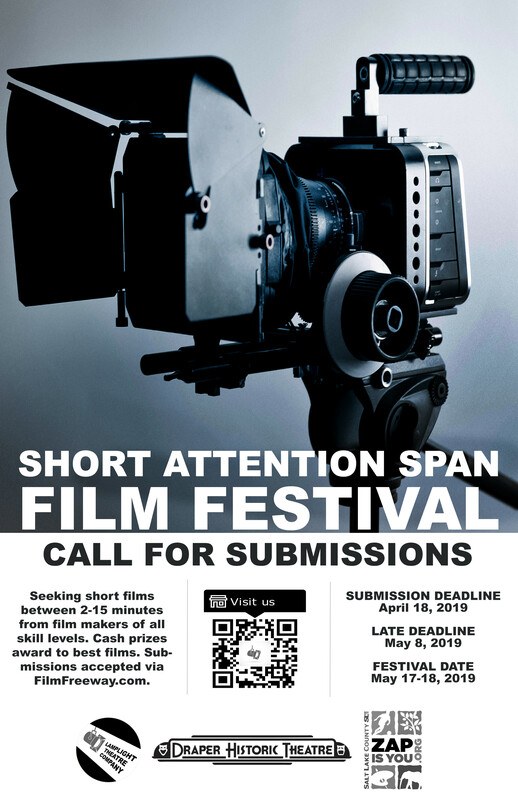 In honor of the theatre's heritage as a former movie house, Draper Historic Theatre and Lamplight Theatre Company are holding the first annual Short Attention Span Film Festival. 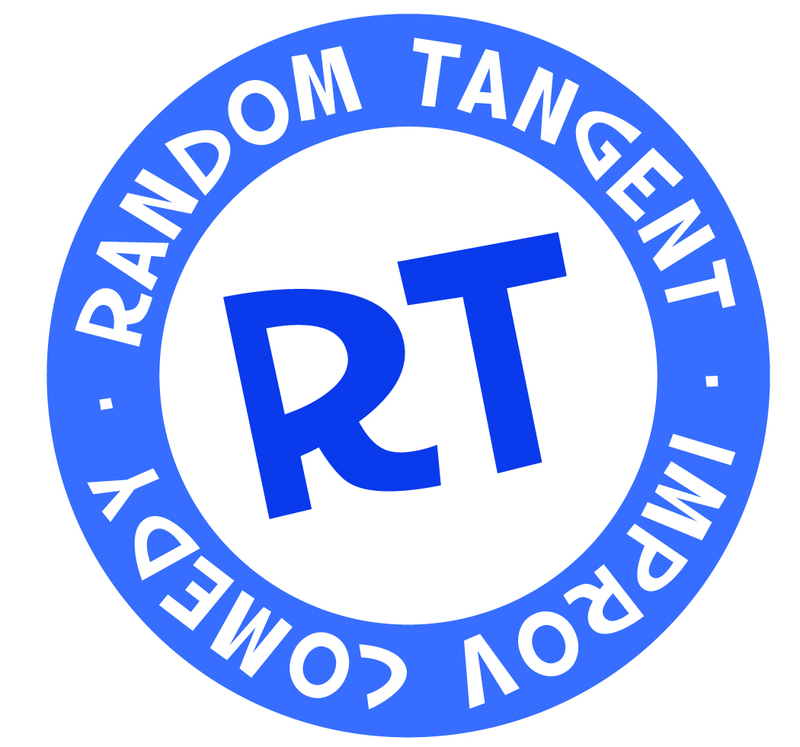 We are seeking short films between 2-15 minutes by filmmakers of all skill level. For more information on rules and regulations, please visit our the festival's page via FilmFreeway. Tickets to the film screenings will be available soon. every Saturday night at 10:00 PM. All tickets $8 at the door. Want to learn how to tell jokes on the fly? We also host free public workshops every 2nd and 4th Thursday at 7:00 PM! Valid for all six shows at Draper Historic Theatre in a calendar year! Order yours for our upcoming 2019 season by sending an email to tickets@drapertheatre.org, or leave a message with our box office at 801-572-4144, and we'll process your order! Need to call the Box Office? Call 572-4144 and leave a message. We'll get back to you. Draper Historic Theatre is a non-profit organization and a proud recipient of a 2014 Zoo, Arts, and Parks (ZAP) grant. We are always looking for helping hands to sponsor productions or to volunteer time and/or services. If you would like to help or volunteer in any way, please email us at helpdrapertheatre@gmail.com, or call 801-572-4611(our business & info line). Draper Historic Theatre is a non-profit organization focused on the people who participate in and attend our shows. Learn about DHT, the history behind the building and organization, and the values that move us forward.